That is one of the things we hope to add in a future update. another suggestion: when looking at war history of squad, you cannot tell what the faction was of the opposing squads. my smaller rebel squad battles a lot of rebel squads... so be fun to be able to see who/what we battled. Valid point I’ll be happy to pass along. Add Faction Symbol on Squad Info Pop-Up. Currently the Faction Symbol only shows in the League Listings. Add Back Button on Squad Info Pop-Up. During my "research" I noted that you can view the Record / Info of Squads you previously Warred against by clicking on the [Matchups] Tab and then the Squad you are interested in. This is where a Back Button (to take you back to the previous Matchups listing) would be handy. You could then click on a Squad, view Info, go back, click on another Squad, view info, go back, etc. Also if say, you click on the League Listings and bring up a Squad Record / Info Pop-Up the Back Button would take you back to the previous League Listing. Josketer wrote: The system is based on BS, your teammates have very low BS. 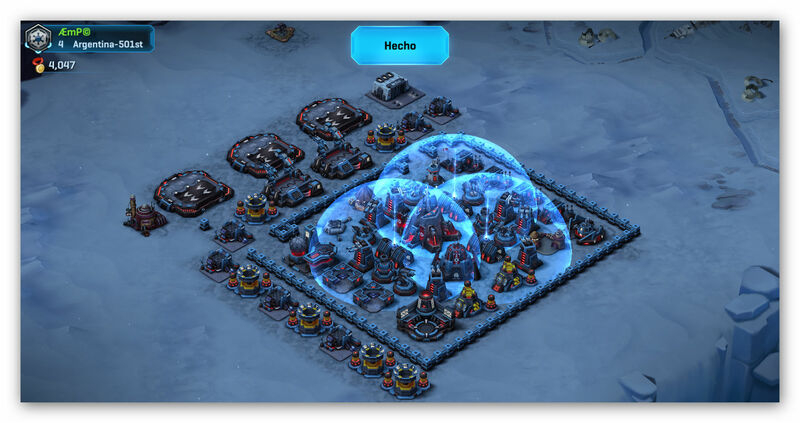 For example : In my team, there is a level 7 HQ and his BS is 1678. FWIW, a maxed HQ7 has a base score of 1688, while a maxed HQ6 has a base score of 1338. Our HQ7s are right in that range. In my opinion, the current selection does not account for the increased possible base score of higher HQs in determining sandbagging. I've chatted with the team though and I'll leave it at that for now. They have higher priorities at the moment. On behalf of the team, thanks for the compliments. It’s greatly appreciated. We have had some great suggestions so far (one we even got implemented already) and we will keep trying to make the site better for everyone. The total amount of commanders is 146.755, but the sum of the commanders at all planets is more than 15.000 lower. Why? My squad Deutsch'15 has rank 398 in the Obsidian league, but at the squad page I see as rank 401. Other squads in the same league have the same difference of 3 between the table and the squad page. You didn't understand what I wrote, apparently. A maxed HQ6 has a BS of 1338. A maxed HQ7 has a BS of 1688. All of our 7s are in that range. They don't have the "correct" BS because they are all developing 7s. You can't be a sandbagger if you are above the max BS for the level below you! Tayend wrote: Thank you very much for this great website! ‘Thanks man. Passed this along to be looked into. For the populations we just pull that info from the server and display it. If it’s wonky on their end it’ll be wonky on ours. The rankings is something we can work on fixing thought.